Jerry and Barbara Bettlach, set the mark for what would become a family of supermarkets upholding high standards and a family tradition of quality, service and value. Harter House has always been about family. 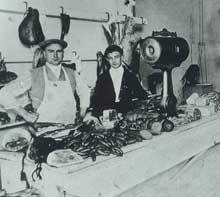 Even before Harter House Butcher Shop in 1973, the Bettlach family had been perfecting meat cutting techniques and family recipes in St. Louis, Missouri since the late 1800's. 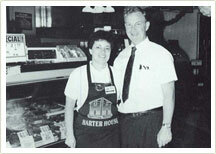 In 1973, Jerry and Barbara opened their Harter House Meat Market. Since then the business has expanded to 6 locations and business is booming. 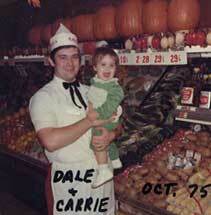 Since 1973, our goal has been to provide customers with the best shopping experience they can have. Our long-term employees are our greatest assets and they work hard to foster Harter House's relationships with all of our customers. These are relationships we truly appreciate and want to foster. Dale Dothage, serving as the Store Manager at our 1500 E. Republic Road location, retired in 2015 after a long career at Harter House.